A special water-based blend of polymers and surfactants for fast and effective low-moisture cleaning of all wet cleanable carpets and carpet tiles. Efficiently captures and suspends soils when used with bonnet pads and soft brush rotary machines. 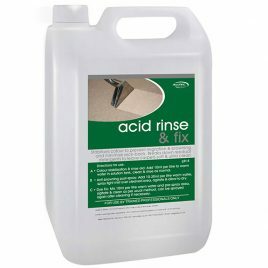 Anti-bacterial, anti-fungal and odour neutralising – leaves no sticky residue, is non-resoiling and offers excellent stain resistance allowing ease of future cleaning. NEW! Hunga Bonnet Concentrated Low Moisture Encapsulation Solution. Our new Hunga Bonnet Solution is a special water-based blend of polymers and surfactants for fast and effective low-moisture cleaning of all wet cleanable carpets and carpet tiles. It efficiently captures and suspends soils when used with bonnet pads and soft brush rotary machines. The Hunga Bonnet Encapsulation Solution is anti-bacterial, anti-fungal and odour neutralising. This solution leaves no sticky residue, is non-resoiling and offers excellent stain resistance allowing ease of future cleaning. It is particularly efficient on commercial and large areas, cleaning quicker than standard HWE. Ideal for maintenance contracts.